Red Diesel Marijuana keeps the unique taste of NYC Diesel but is more productive and strong. 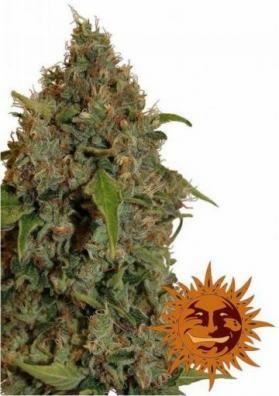 The plant has an average size, is easy to grow and has a great cerebral and trippy high. powerful. Barney's Farm worked on this new feminized Marijuana strain in an attempt to improve the classic NYC and they were successful. In fact, Red Diesel tastes like diesel but offers larger yields and is stronger. Red Diesel is a cross between NYC Diesel and an Indica Marijuana line from California. This plant is easy to grow thus being suitable for beginners. It is also suitable both for indoor and outdoor cultivations as well as for greenhouses. 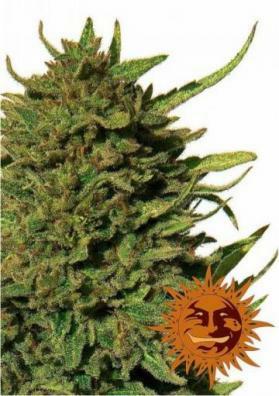 Although harboring sativa genes, it is a medium-sized plant, not usually exceeding 70cm high. However, and since it develops many branches is a good candidate for intensive cultivation techniques like ScrOG (Screen of Green). From these branches and from the main stem several queues appear loaded with buds. 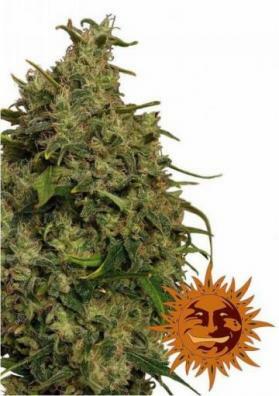 In a growing room and after 9-11 weeks of waiting, Red Devil will offer you generous yields of 500 grams of buds per square meter with optimum environmental conditions. Note that this strain needs enough space for an optimum development of the side branches. If cultivated in the outside the harvest can be done in mid-October. The compact buds will be filled by orange pistils. As for the taste, Red Diesel maintains the unique flavor of the classic NYC Diesel. It is a mixture of fuel with lemon, grapes, flowers, with sweetish tones. 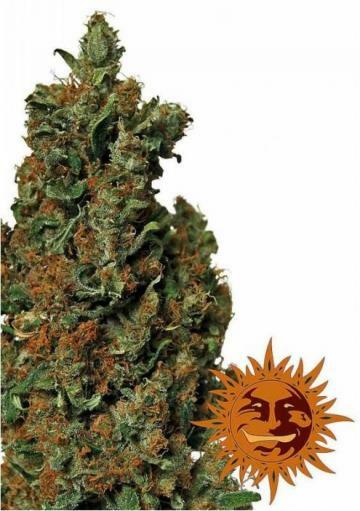 It provides a smooth effect at first becoming gradually powerful showing you its high level of THC of 19%. Besides being energetic, this high will make you smile. Red Diesel also has many medicinal properties: it can relief nausea, vomiting and the pain, and can also be used in cases of depression or anxiety. In fact, this strain is largely used by patients with glaucoma, arthritis and multiple sclerosis.